Wallet? Laptop? Kitchen sink? Yes, we carry those around in our handbags too. 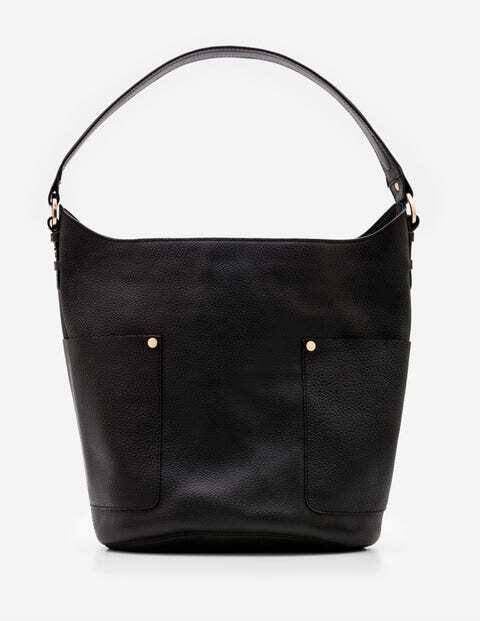 That's why we've made this grainy leather bucket bag. It's got plenty of pockets (our favourite), pouches and zip-up compartments, so you'll always have your phone, travel card and emergency snacks to hand. The spot lining is classic, while the gold-tone hardware adds a smart touch. A cushioned shoulder strap provides extra comfort – because kitchen sinks can be heavy, after all.